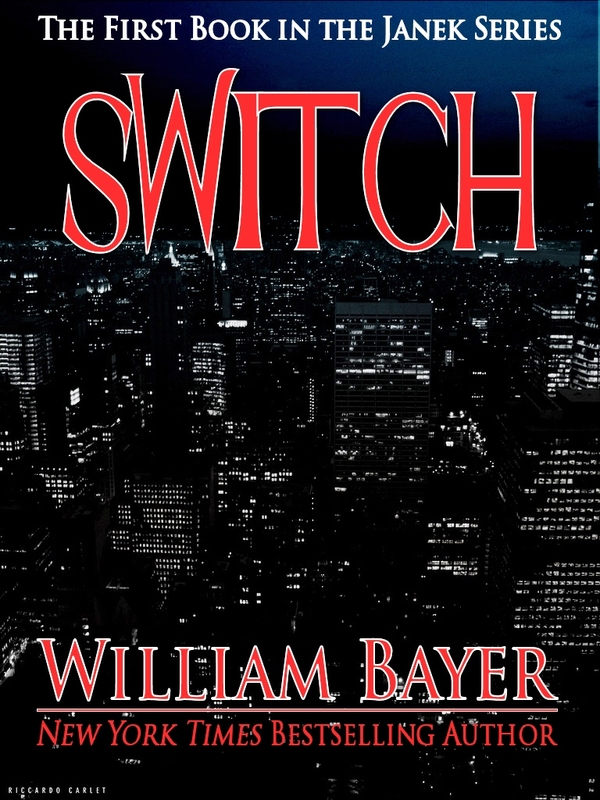 SWITCH is the first novel in WILLIAM BAYER’s Janek Series. A New York Times best-seller, it was adapted into the four-hour mini-series “Doubletake” starring Richard Crenna and Beverly D’Angelo, broadcast on CBS. At first the two killings seem unrelated. The lonely call girl murdered on New York City’s West Side had never met the prim schoolteacher slain across town in the far safer preserve of the city’s Upper East Side. But someone has decapitated them both and switched their heads: a deed that is apparently its own motive, a crime as pointless as it was perfectly executed. The challenge — to become as precise, as creative, as cold as his prey — begins to take its toll. The tenuous psychological thread leads Janek back into the unsettled past– not only the killer’s but his own. His own passion and rage and unresolved love. The love he bore for the man who trained him, a retired cop whose apparent suicide he has shied from investigating too closely. The passion for justice that has made him a marked man within the police fraternity. The rage he feels at ancient crimes that have finally burst into full and terrifying flower. And most of all, the new love he feels for the mysterious woman in whom all these strands of the past seem to converge. It is Janek’s love for Caroline Wallace that leads him at last to a blinding vision of the purpose behind the grisly double homicide. And then, too late, he realizes that the case of “Switched Heads” may only be the bait…. SWITCH won the prestigious French literary award, Prix Mystère de la Critique.